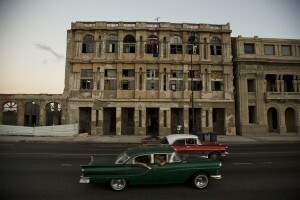 Years ago I saw a photo of a 15-year old girl in a pink dress on the Malecon in Havana. It was her Quinceañera and her whole family appeared to be celebrating. Photographers always look for layers and scenes that are rich with characters and colors. 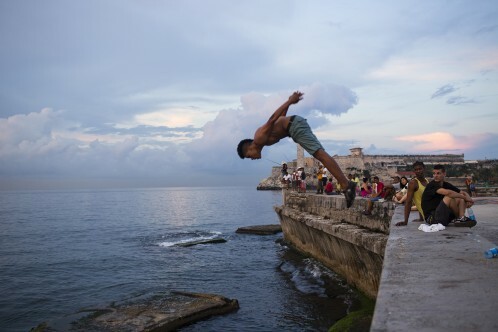 Havana’s Malecon is the epicenter of all these and I wanted to go. Cuba is stuck. It’s like someone pushed ‘pause’ on this small Latin American country in the 1950s. Vintage vehicles roll through cobblestone streets lined with rotting buildings and dance parties pop up in small alleys. I felt like I was walking through a museum except I was part of the exhibit. Every evening we would aim for that corner where the Caribbean crashes at the feet of fisherman. We would sit still dangling our feet over the edge and see the action unfold. Small baked pastries on a bike were sold. A dad taught his son how to throw a baseball. For seven nights, I sat on that wall and everyday it was different. Cubans came to that corner to exhale. To vent about the government or their jobs. Or maybe they come to simply taste this salty sea spray or to try to supplement their dinner with a small catch. Many sit still and look towards Key West, FL and the inevitable shifts coming over the horizon. 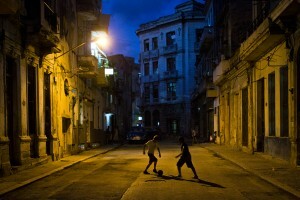 Cuba will change. The embargo will be lifted at some point and the free market will flood this small country. Hilton and the Ritz will set up private beaches and waterfront all-inclusives. 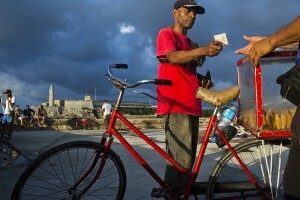 Life along the Malecon is temporary but I’m happy I was able to see it through my lens.